US Self-Propelled Guns in Action (SC). 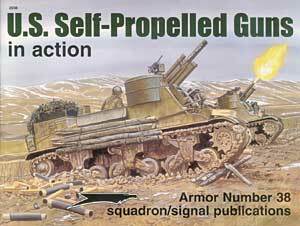 Covers US SPGs in WW II: M7, Sexton, M8, M12, M40/41 & M37/43. 100 B&W photos line dwgs & 11 color paintings, 50 pgs.